The filing deadline for state and county offices is tomorrow (Tuesday) at 9 p.m., and candidates are trying to make up their minds to jump in or jump out. Del. 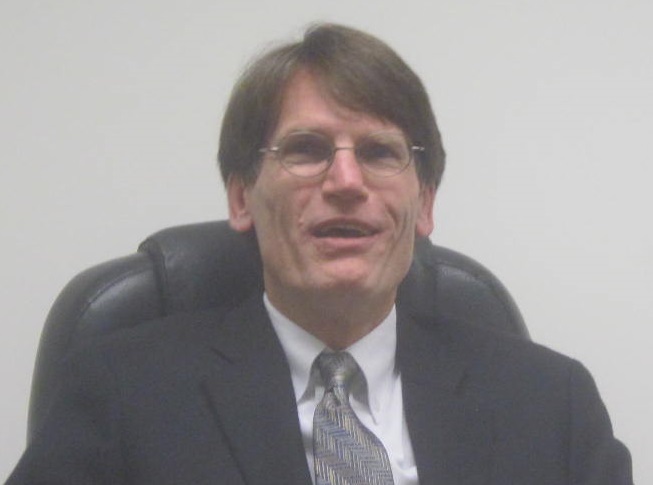 Bill Frick, a Bethesda Democrat running for attorney general, admitted Friday he has only a few days left to decide to stay in the race, with multiple factors in play. He has been polling in single digits and has only $133,000 in the bank, a small amount for a statewide race. He has until Thursday to pull out of the race, but he must decide by Tuesday night to file for reelection. Del. Aisha Braveboy, a Prince George’s Democrat also running for AG, came in No. 2 in a Washington Post poll last week, but she raised only $33,000 last year. She said Friday she’s definitely in the contest to stay, even though Del. Jon Cardin, nephew of U.S. Sen. Ben Cardin, continues to lead in every poll taken so far. Sen. Brian Frosh, from the same Bethesda district as Frick, has strong labor backing and the most money, but the Cardin brand is clearly something money can’t buy. Del. 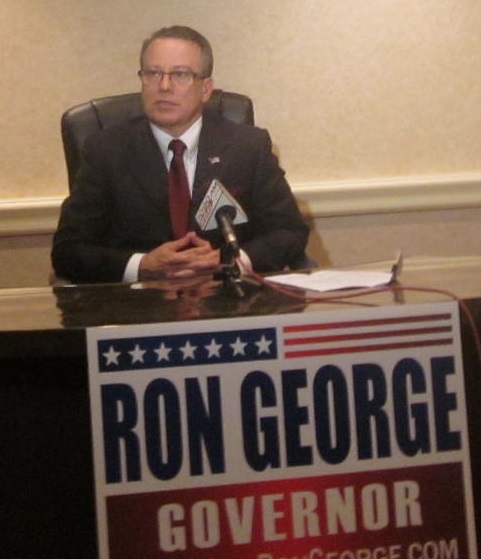 Ron George, an Arnold Republican running for governor, raised more than Frick and Braveboy, but spent most of it last year, leaving him with only $10,000 in cash. Still, he’s plunging ahead, and is announcing his lieutenant governor candidate at 8 a.m. Tuesday. A running mate is a necessity before any candidate can file for governor, and Charles County businessman Charles Lollar, another Republican, must find some live Republican to keep his lagging campaign alive. UPDATE 2/24, 11 a.m. Apparently his choice is former 8th Congressional District candidate Ken Timmerman. 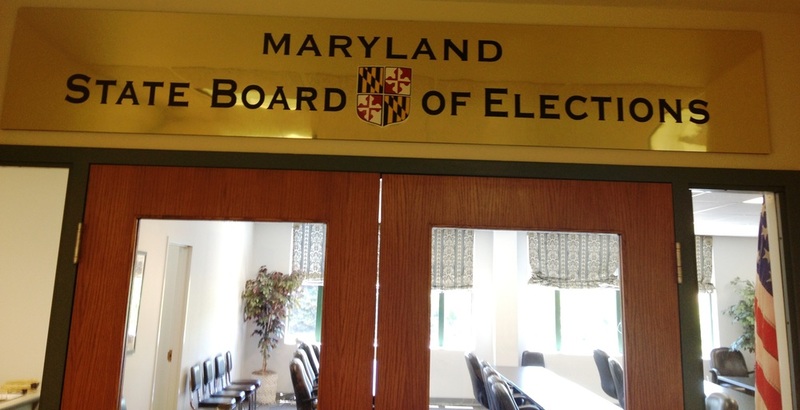 No Republican has yet to file for attorney general, but Maryland Republican Party executive director Joe Cluster says his party hopes its close to finding a credible candidate. He and party chairman Diana Waterman have been actively recruiting for months. One drawback is the low salary for AG, currently $125,000 with a proposal to the legislature to raise it to $149,500 — not a lot for an experienced attorney to run what is the state’s largest law firm. UPDATE 2/24/2014, 11:18 a.m.: The Quinton Report is reporting that Republican Towson attorney Jeffrey Pritzker is filing for attorney general Monday. Last week, two Republican delegates filed to challenge the Republican senators in their districts, much as three Democratic delegates had done earlier. Veteran Del. Addie Eckardt of Talbot County will take on Sen. Rich Colburn of Cambridge, who has gone through a messy divorce. Freshman Frederick County Del. Mike Hough is challenging Senate Minority Leader David Brinkley, and has more than five times as much as Brinkley in his campaign kitty — $115,000. Brinkley has represented much more of the redrawn district than Hough, who is casting the veteran legislator as too liberal. The prospect of Republicans using hard-won campaign dollars against each other doesn’t cheer Cluster and Waterman. But they think they may have a winner in Frederick County in political strategist Corey Stottlemeyer running against Democratic Sen. Ron Young, whose record Republicans believe is much more liberal than his district. It says something about the two parties that veteran Republicans are being challenged from the right in their primaries, and Democrats in several cases are being challenged from the left. In Montgomery County, Sen. Rich Madaleno, a tax and budget expert who has been a leader among progressives, is being challenged as too fiscally conservative by Dana Beyer. A report circulated among Republican Party activists shows that the party still needs candidates for 23 of the 47 Senate seats, and 64 candidates for the 141 seats in the House of Delegates. Most of the empty slots are in the three jurisdictions that have no current elected Republicans — Baltimore City, Montgomery and Prince George’s counties. One of the more ideologically independent Democrats, Sen. Jim Brochin of Towson, is being challenged on his left by former Del. Connie DeJuliis. Last week, he picked up a potentially strong and well-funded Republican challenger, anesthesiologist Tim Robinson, after Chris Cavey got out of the race to work full-time as field director for Larry Hogan’s campaign for governor. “No matter how much Marylanders are taxed, it will never fill the hunger” in Annapolis, said Robinson in an interview. He said his focus will be fiscal issues. U.S. Rep. Andy Harris, an anesthesiologist as well, helped recruit Robinson to run, but the new candidate said he is not as conservative on social issues as Harris. “I think it’s a mistake for the Republicans to stake out those issues,” said Robinson. He believes most of social issues will be decided by the Supreme Court or Congress. “We need to have a dialogue between one side and the other” in both Washington and Annapolis, said Robinson, with the two parties working together to govern. “The most problematic thing in Maryland is the politics,” he said. Former Gov. Bob Ehrlich speaks at fundraiser for Larry Hogan. Robinson, 61, has four children, lives in Timonium and spent most of his career at St. Joseph’s Hospital in Towson. Originally from Michigan, he was an officer in the U.S. Public Health Service and served in inner city Detroit and rural Louisiana. “I don’t think the government should be borrowing money to have my children and grandchildren to pay it off,” he said. 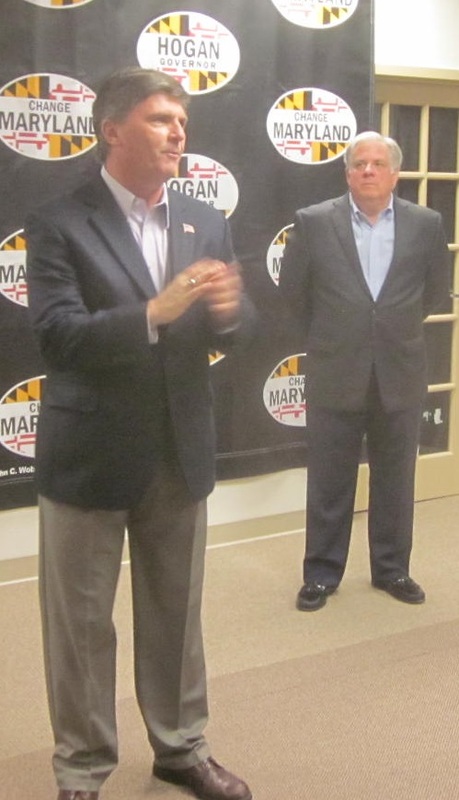 Republican Larry Hogan has gotten off to a quick start with a book- signing fundraiser last Friday with former Gov. Bob Ehrlich, whom he served as appointments secretary, the patronage chief. But Hogan’s very first fundraiser was five days before that with about 60 people from the Korean American community in Howard County. “The Korean American community is very important to us,” said Hogan. His wife Yumi is Korean, a painter and an art instructor at the Maryland Institute College of Art in Baltimore City. “She would be the first ever Korean American first lady, and the only one in America,” Hogan told the crowd of business people and professionals. Hogan promised, “We’re taking the kimchi refrigerator with us” to the governor’s residence. Kimchi is the spicy pickled cabbage dish that is a homemade staple of Korean food.